--What inspired you to become an author? I have always enjoyed writing, even when I was a kid. The first chapter books I read were the Nancy Drew Series, so I tried writing my own mystery novel when I was about 11 years old. I can assure you that I won't be publishing that one. All through grade school and high school, teachers never said anything to me about my writing so I never considered writing as my talent. Then, while I was in college, two of my English professors asked my why I wasn't majoring in writing. I guess they saw something that no one else had. I had always had ideas for fiction novels in my head but never knew what to do with them, until the teachers encouraged me to write. Since then, I haven't stopped writing. --Do you title the book first or wait until after it’s complete? That depends on the book. In most cases, the title comes to me the minute I start thinking about the story. For Memories, however, I had a tough time coming up with a title I liked. I had several working titles and none of them seemed to work. Finally, I decided on Memories, and that seemed to fit the book perfectly. When I was working on Widow, Virgin, Whore, I started with that title because it just fit perfectly. I really tried to come up with a title that I thought wouldn't "offend" people, but nothing else seemed to fit. So I stuck with it, and so far, no one seems to mind. --Is there a message in your novel that you want readers to grasp? I never meant for Memories to be anything other than a heartfelt romance novel, but people who have read it see it in different ways. I think the story delves deeper than a basic romance novel in that it explores the life of a Vietnam Veteran. But I never meant it to be a political book or one with a message. If people find a message in it, I think that's wonderful. --Is the book, characters, or any scenes based on a true life experience, someone you know, or events in your own life? Although Memories is not based on any true-life characters, each character represents a collage of people I've either known or read about through the years. The Vietnam War was still going strong until I was a young teen and the things I remember from then influenced my feelings of the war. I also knew many people who came home from the war. But the character of Michael is not based on anyone I knew personally. --What books/authors have influenced your life? I'm not sure if any book/author actually influenced my life, except for the fact that certain authors influenced my love of reading. The first book I fell totally in love with was Little Women by Louisa May Alcott. Another book that I loved as a young person was Jane Eyre by Charlotte Bronte. I was probably one of the few 11-year-olds who actually enjoyed reading that old-style English writing. I thought, and still think, the writing style from the 1800s is beautiful. --What book are you reading now? Right now I'm reading "The Phantom Student" by Ann Swann. It is the sequel to her novel "The Phantom Pilot". I love Ann's books because they are perfect for all ages from 10 to 110! And her writing style is so incredible, you just don't want to put the book down. --What books are in your to read pile? The entire Jolie Wilkins Series by H.P. Mallory! --What is your current “work in progress” or upcoming projects? Does love last forever, even after your soul mate dies? When William lost his wife, Sara, he thought he'd lost his forever. Then he meets Annie and strange coincidences begin to occur. Can Annie help him find true love again? --Do you have to travel much to do research for your books? Actually, I have traveled quite a bit around the U.S. so I am able to use what I learned from my travels to place my characters in the part of the country that I think they belong. I also research the areas to make sure I represent them as accurately as possible. --Who designed the cover of your latest book? All of my book covers were designed by Deborah at Tugboat Design. My favorite cover is the one for Memories, although the cover for Outlaw Heroes is pretty neat too. Tugboat Design listens to what you want as well as gives you ideas that they believe may work for you too. Sometimes an author thinks she knows what she wants for a cover, but that isn't always what is right for the book. I found that out with my latest cover for my upcoming novel, Sara's Promise. I gave Tugboat Design a photo to work with and my concept, which now looks horrible to me, because she came back to me with a gorgeous cover idea instead. I think from now on I'm just going to tell her about the book and let her create the cover herself because Deborah certainly knows her business. --Do you have a song or playlist (book soundtrack) that you think represents this book? I do have one song – Memories by Barbara Streisand. 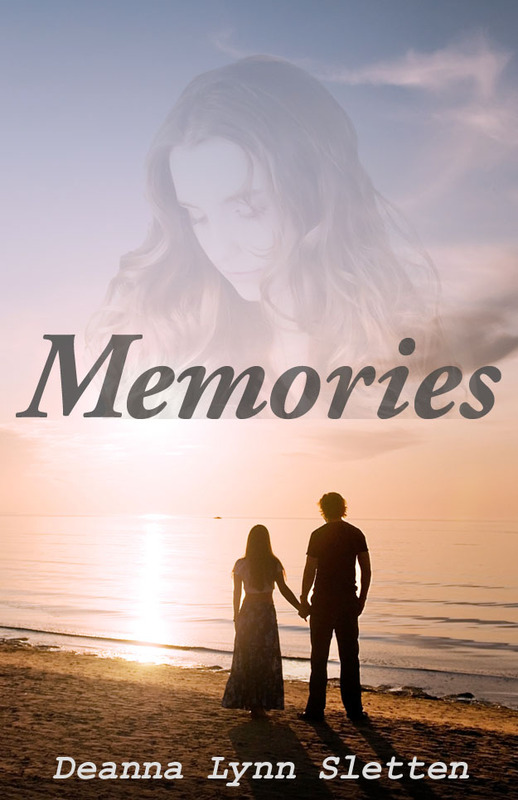 Not that my book is anything like the movie "The Way We Were", but after I finally settled on a title for this book, the song Memories kept playing in my head. And if you think about it, it is appropriate for the story. Michael DeCara came home from the Vietnam War a wounded man, both physically and emotionally. He tried putting his life back together, but found civilian life difficult after all he’d experienced in Nam. Raising his young daughter, Vanessa, by himself after his wife left, he found it difficult to commit to one job or one woman for any length of time. Then he met a young woman who made him feel good about himself again and who fell in love with Vanessa as well. But a life-changing event occurred and he had to choose between his past and the present. He chose to leave without a word to the young woman, believing he was doing what was best for her. Now, years later, she has walked back into his life and he believes they may have a second chance at love–except she hates him and he doesn’t understand why. Deanna Lynn Sletten is a novelist who writes women's fiction and has also written one middle-grade fiction action/adventure novel. Her novels include Memories, Widow, Virgin, Whore and Outlaw Heroes. She started her writing career as a freelance writer for parenting publications in the early 1990s and transitioned to writing for blogs and websites until she made the jump to novelist. 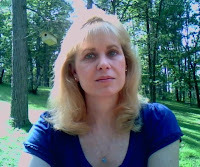 Deanna is currently working on her next novel which will be released in December 2012. Deanna is married and has two grown children. When not writing, Deanna enjoys walking the trails around her northern Minnesota home with her beautiful Australian Shepherd. Thank you for hosting the first day of my blog tour for Memories. The post looks great! It is so nice that you support indie authors!